Every second Sunday of May has been solely dedicated to pay tribute to our moms. But what about those we consider our second moms—the women who have shown support and quiet strength all those years we were growing up? Over the years, we have encountered women whom we’ve come to regard as our second moms. And in its drive to celebrate the art of saying thank you –especially to the unsung everyday Filipino hero – Toblerone, the well-loved triangular Swiss chocolate, believes that Mother’s Day is the perfect time to give them something one-of-a-kind. Your grandmother is the mom who always saw you as a child and never stopped giving you advice. She may still be sporting the same old flower-patterned dress and terry-cloth slippers, but your “Lola” never fails to amaze you with her wisdom and care. Put a smile on her face and show her how much you appreciate all her efforts throughout the years. Those times you came home late, she would usually stop your mom from continuously scolding you and would then calmly talk to you about your mom just being concerned about your safety. Your tita always has been the mediator, always able to see both sides of the story and make a compromise out of any situation. And this Mothers’ Day may just be the ideal time to give something back. She may constantly put pressure on you and push you to be at your best all the time. But you know it’s for your own professional and personal growth. Those deadlines she set are for you to learn more about the value of time. Those bonuses you get are for you to realize that your efforts at work are highly appreciated. This Mothers’ Day, let her be the one to feel that all the hard work she has invested on you are worth it–-thank her for the relentless guidance she has given you be it inside or outside the office. What about your teacher? Despite those times she gave you the hardest exam, it eventually paid off. You even swore you saw her eyes watering a bit during your graduation. She’s given you tough love and recognizing it is more than enough for her. Remember how you used to run and look for her whenever you got scolded–wrapping your tiny arms around her waist and wetting her dress with your tears. Now that you’re all grown up and you still see her washing your clothes and preparing your meals, you know she deserves something special. Though overlooked with their efforts mostly going unnoticed, anyone you’ve come to consider as a second mother has undoubtedly made an impact. Extend your sweetest thank-you’s to them – the same way that Toblerone will be honouring the unsung heroes of our everyday lives in a big celebration on October 20. And yes, your yaya, teacher and lola and all the other women whom you’ve regarded as your second moms—are invited to this event. 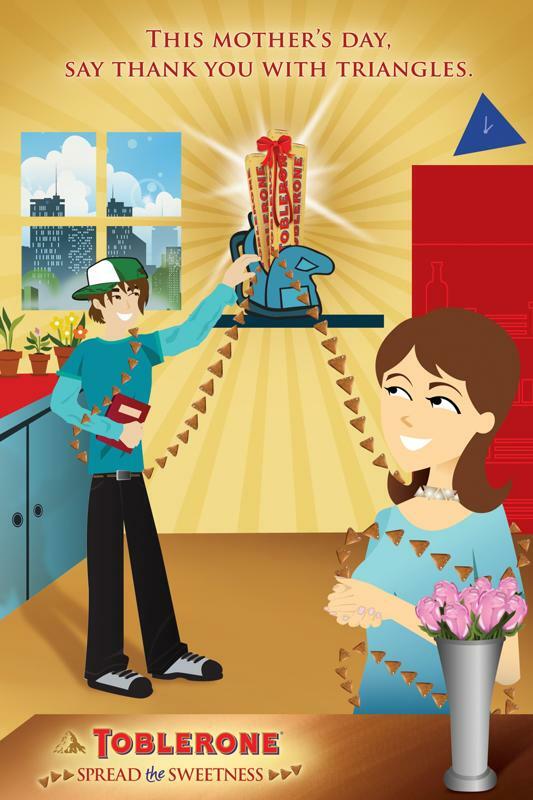 In the meantime, make Mothers’ Day extra special for them by thanking them with Triangles. Thank them with Toblerone. Be sure to log on to www.toblerone.com.ph and discover new ways to thank those 2nd moms on Mothers’ Day.